Currently we produce three different white wines; Blanc de Carsin, Sauvignon de Carsin and L'Etiquette Grise. Our red wines are Rouge de Carsin, Cuvée Noire, Terroir and Cuvée Millésime. 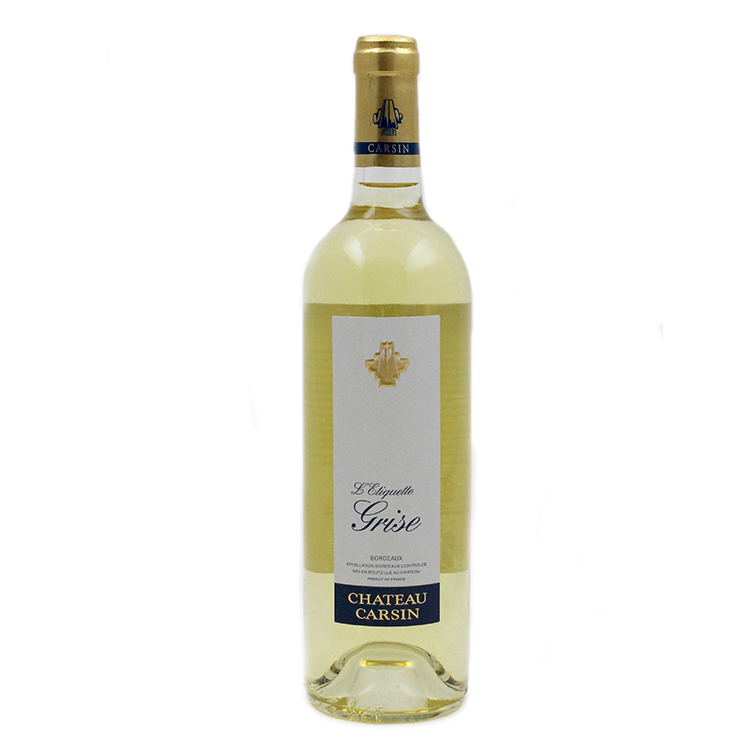 Every year we also produce a Rosé de Carsin and sweet white wine, Cadillac. Here you can find more detailed information on the different wines! 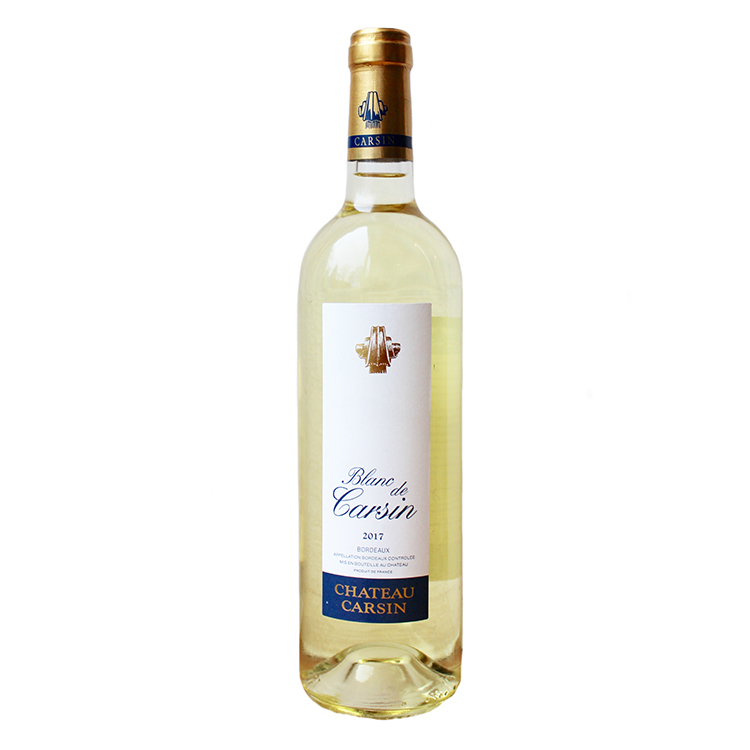 Our house white wine, Blanc de Carsin, is a great aperitif and a wine suitable for many occasions. The crisp acidity from Sauvignon and round fruitiness from Sémillon give this wine nice, balanced mouthfeel with notes of citrus and gooseberries. Blanc de Carsin is picked by hand, pressed gently and it ferments in a cool temperature in stainless steel tanks to remain the natural freshness. Great wine to combine with rich salads and quiches or fresh seafood dishes. Current vintage is 2017. This wine is made from a rare white grape variety, Sauvignon Gris. There are only a few thousand hectares of this grape planted in France. The grapes are picked by hand, pressed gently and the wine ferments naturally in old oak barrels. Grise is matured in these same oak barrels for 8 months and the lees are stirred regularly. This wine is very rich in exotic fruit aromas such as pineapple and passion fruit. Perfect match for rich fish or poultry dishes. Current vintage is 2017. Our 100% Sauvignon Blanc comes from the parcel of Laroque in the neighbouring commune. This parcel is especially well exposed to sunlight and produces intense but fresh fruit. The grapes are picked by hand, pressed gently and the wine ferments naturally in old oak barrels. Sauvignon de Carsin is matured in these same oak barrels for 8 months and the lees are stirred regularly. This wine is crisp with acidity, but has a firm body to be served with rich salads, pastas and fish, just to name a few ideas. Latest vintage was 2016, but unfortunately it's sold out. We'll be making more Sauvignon de Carsin hopefully with vintage 2018. Our summer drink, Rosé de Carsin, is filled with red fruit aromas, such as cherries or wild strawberries. It is quite aromatic and powerful rosé wine, though it has a good acidity and a fresh, crisp mouthfeel. Our Rosé is a very good companion for food. The grapes are picked early to maintain the natural freshness of this wine. Rosé de Carsin ferments in a cool temperature in stainless steel tanks. Try this wine with charcuterie and antipasto, delicious salads or with our personal favourite; the Bouillabaisse soup. See Jani Pesola's Bouillabaisse recipe here. Current vintage 2017. Our house red, Rouge de Carsin, works well every day of the week. It is rich and tasty red wine filled with dark fruit aromas. The wine has a big mouthfeel, but the soft and round tannins create a good balance. It's mostly Merlot, which gives the dominant ripe fruit characters. This wine ferments in thermo-controlled stainless steel tanks and spends minimum of 12 months both in tanks and oak barrels before bottling. Delicious combination with pizza, pasta, or actually almost anything! This wine is available in various sizes from 0,375l to 5l bottles. Current vintages available; 2014 in small bottles and 2016 in regular and bigger bottles. From Alko stores in Finland, you can find vintage 2015. This wine is our special blend of all 6 grape varieties of Bordeaux; Merlot, Malbec, Cabernet Franc, Cabernet Sauvignon, Petit Verdot and Carmenere. All the different lots of these varieties are matured separately for 12 months in French oak barrels. Only before bottling the best barrels are blended together to create a wine that represents the complexity and elegance of our different varieties. 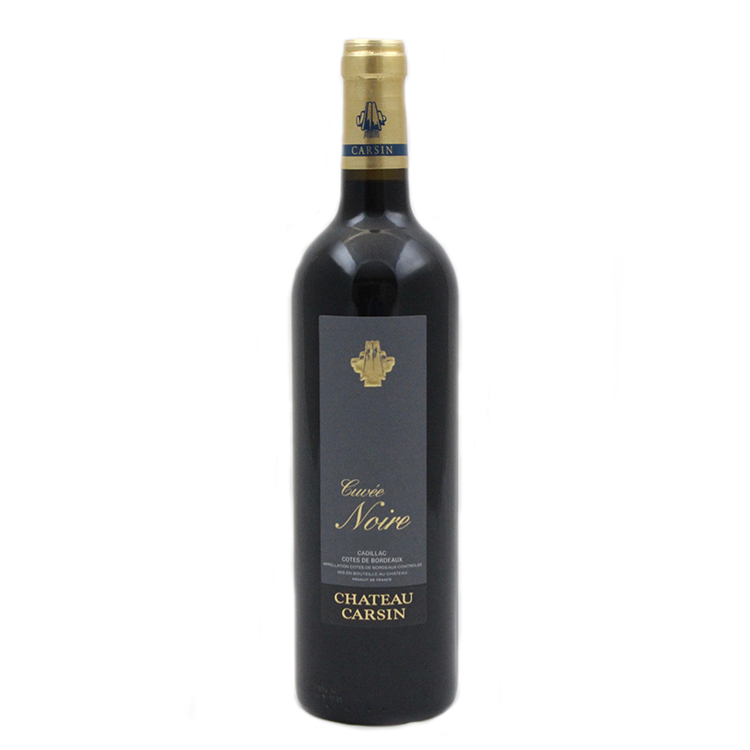 Cuvée Noire is at its best when consumed with food; try lamb chops, duck fillet or classical steak with this wine. You can also store this wine into your cellar for at least 5 to 10 years. Current vintages 2014, 2015 and 2016. Terroir is a wine made with 100% Merlot from our organic "RC2" parcel next to the Chateau. This parcel has been cultivated in organic methods since 2003. The grapes are picked by hand and the wine is fermented and carefully matured mostly in stainless steel tanks. Terroir has only a little barrel ageing, as we prefer to show the authentic characters of the vineyard and not cover those characters with too much oak ageing. This wine is great to combine with classical Bordeaux gastronomy such as duck confit or entrecôte steak. Terroir ages well for at least 5 to 10 years. Current vintage 2016. Our top wine, Cuvée Millésime, is made only in great years when our oldest parcels provide the best fruit possible. Made from old vines of Merlot and Cabernet Franc, this wine is a more of a classic, prestigious Bordeaux style. The grapes are carefully picked by hand and fermented in small open-top vats. The wine ages for a minimum of 12 months in oak barrels. Then, the best barrels are chosen and blended together for bottling. It has about 30% new oak with elegant notes of ripe plum and cherries, light leather and spice as well as aromatic toastiness from the French oak barrels. This wine keeps very well in the cellar and could be kept for at least 15 years. Current vintage 2012. 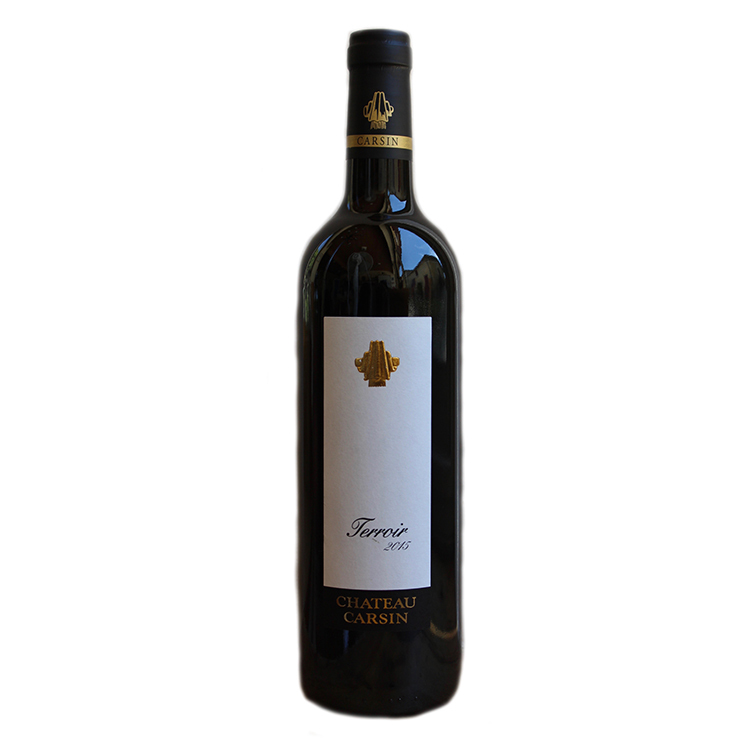 'Charivari Wines' is a series of wines made by the winemaker of Chateau Carsin, Nea Berglund. The idea of Charivari Wines started before harvest in 2015 when she started working full-time at Carsin and negotiated her salary. At first, she was not paid in euros, but in grapes. The first wine was a delicious Merlot called L'Aventure Nocturne from this vintage. Nea wants to experiment with both traditional and untraditional methods and varieties. Her wines are made naturally; no additions, no clarifications, no filtering. Cheerful labels, fun experimentations and good wines! Very limited amounts of wines available for now, some of them you can find here.